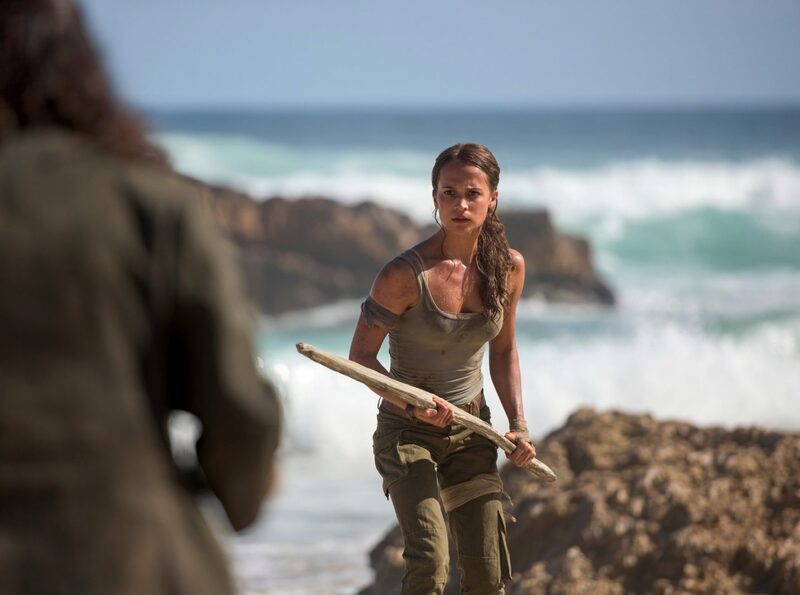 Filming is well underway on Warner Bros. upcoming Tomb Raider reboot and a few weeks back, we got our first look at Academy Award winning actress Alicia Vikander in the role of Lara Croft thanks to a handful of set photos that were released. Now, thanks to WB and Vanity Fair, the first official images have popped up online, which showcase Vikander in the gritty, grounded retelling of the popular video game franchise. Vikander takes the reigns from Angelina Jolie after her two film (and awesome) stint as the character in the early 2000s, but rather than reboot and retell that story, this new take on the character will be more in line with the 2013 video game reboot and its 2015 sequel Rise of the Tomb Raider, which followed a younger Lara Croft early in her life, as she learned to become the Tomb Raider she’s known for. And just as these images show, Vikander won’t have silky-smooth hair or a slick wardrobe to help her along her journey, rather embracing the elements around her as she fights for her life, and her father’s. HA! A tomb will be raided! In all honestly, it sounds legit. While I enjoy the Jolie led Lara Croft movies as a kid, I’ve come to learn they just didn’t tell the correct story for this character. Vikander is currently one of, if not my favorite actress working today, so having her be the character already locks me in. But then you partner her with a story (which is hopefully executed correctly) such as this one, and I’m really looking forward to what kind of film they can put together. With such a disappointing track record for video game movies, and after last year’s disaster with Warcraft and Assassin’s Creed, I had pretty much given up on the video game genre. But ever since the announcement of Vikander as young Croft and now these new images (which is hopefully followed by a first trailer soon), I can’t help but think that Tomb Raider will be the one to break the curse. Not just because it has Vikander (Assassin’s Creed had Michael Fassbender…), but because rather than follow the pieces of a video game story, Tomb Raider is just a straight up adventure story. It doesn’t have to worry about mythology that could slow the story down or sci-fi elements that work in the games, but not on the big screen. If they keep it simple and fun, there’s no reason it shouldn’t succeed. 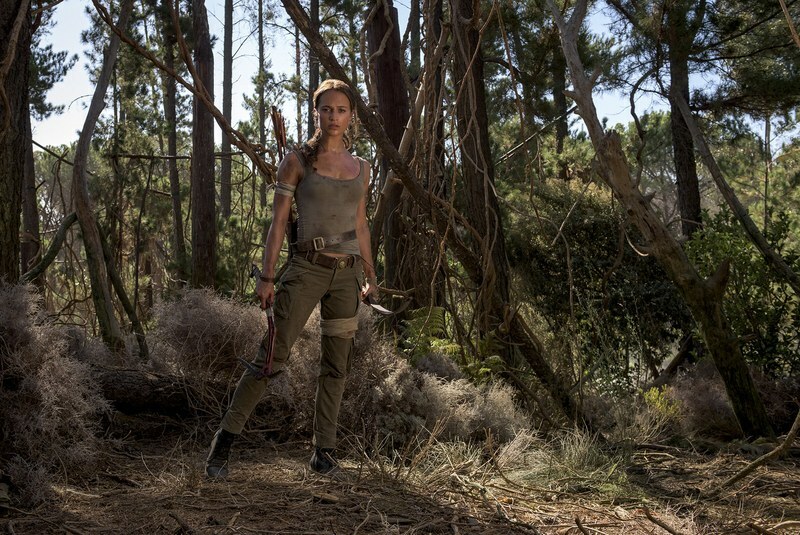 What do you think about our first look at Vikander as Lara Croft? Are you looking forward to the reboot? Do you think it could be the genre curse breaker? Roar Uthaug’s Tomb Raider will be released on March 16th, 2018 and stars Alicia Vikander, Walter Goggins, Daniel Wu, and Dominic West. Hang Out with Spidey in New ‘Spider-Man: Homecoming’ Posters; New Trailer Released Tomorrow!